Celebrating over 65 years serving the industrial community, DER-TEX Corporation has continued to expand and develop a notably broad range of foam rubber products to accommodate the varied demands of many different applications. CELL-FLEX foams incorporate numerous polymers to produce microcellular sheet and roll products including neoprene (CR), Vinyl (PVC), Ethylene Vinyl Acetate (EVA), Polyethylene (PE), Nitrite Rubber (NBR), Ethylene Propylene Rubber (EPDM), Styrene Butadiene Rubber (SBR), CELL-FLEX Foam Rubber Products are available in a wide array of colors (specific color matching available upon request). We also have the ability to develop and source product from our Southern China manufacturing facilities. 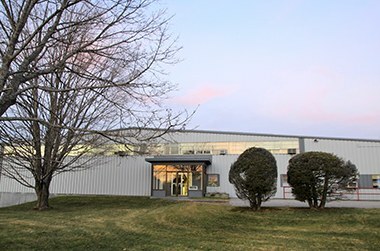 Our 100,000 square foot manufacturing facility in Saco, Maine is located 1 hour and 45 minutes north of Boston MA and 20 minutes south of Portland ME.